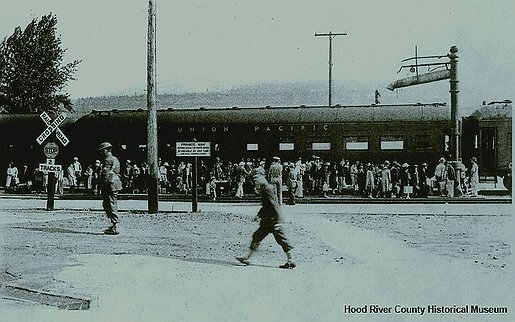 The train to Pinedale Assembly Center from Hood River, Oregon, 9:40 a.m., May 13, 1942. The drapes on the windows remained closed on the journey. Photo by Alva L. Day. Courtesy of Hood River County Historical Museum.